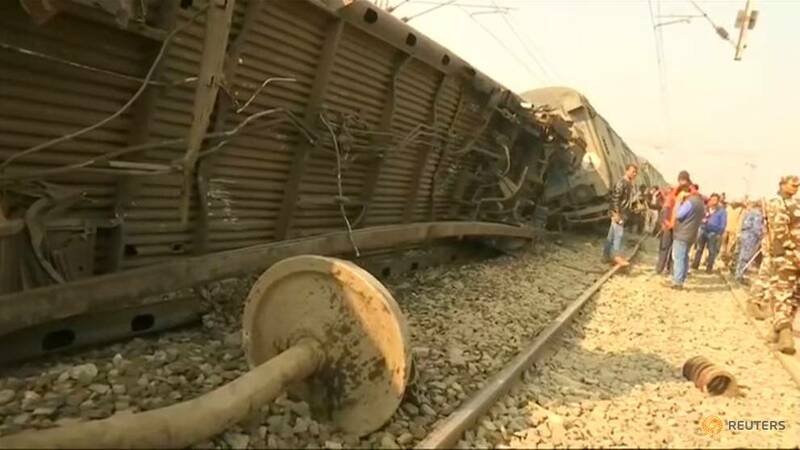 NEW DELHI: Seven passengers were killed and several others injured when a Delhi-bound train derailed in India’s eastern state of Bihar on Sunday (Feb 3), railways officials said. Eleven coaches of the Seemanchal Express left the rails near Sahadai Buzrurg railway station, about 50km from the state capital, Patna, early in the morning, the railways ministry said in a statement. It marked a bad start to the year for India’s troubled railways. Sixty people were killed last year when a commuter train travelling at a high speed ran through a crowd of people on the rail tracks in northern India. India’s state railways, largely built during colonial rule, have an appalling safety record after decades of underinvestment in rail safety infrastructure, with the priority on keeping fares low for the 23 million passengers who use the network daily.